Warm summer nights are best spent enjoying the great outdoors. After you’ve shut down the grill and cleaned the dishes, it’s time to relax in the backyard with a glass of lemonade while your hot home interior benefits from cool evening breezes. Of course, you don’t necessarily want to entertain guests or enjoy quality family time in the dark. 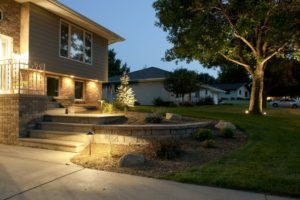 If the only light in your outdoor living space is a single bulb over the back door, it's time to consider what hardscape and landscape lighting could do to increase your enjoyment of the backyard and contribute to the value of your property. 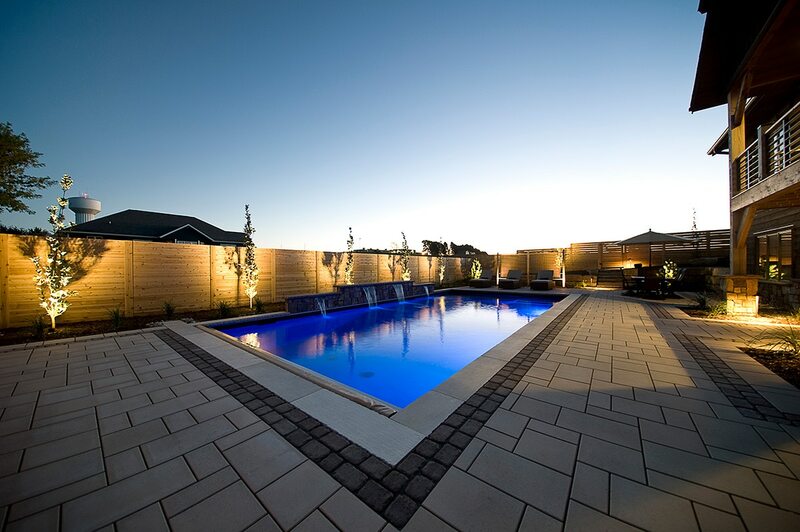 The experts at Outdoor Elements Inc. are pleased to offer lighting design along with their landscaping and hardscaping services, whether you need the full package or you just want to add some twinkle to your terrace. Lighting features need not be confined to sconces and lamps. With no ceiling overhead in your backyard, the sky is the limit, and Outdoor Elements Inc has the design expertise and quality products needed to highlight your outdoor haven. We can certainly provide wall lighting fixtures for your exterior spaces, as well as standbys like driveway and walkway lighting, lights for exterior structures and water features, and security lighting. However, you may not realize how much your landscape can benefit from uplighting on trees and topiaries, or how lovely illumination of hardscape features like retaining walls, bench seating, and planter boxes can be. We can also add lighting to pergolas, pavilions, and pretty much any structural or landscape element you desire. Our lighting is not only functional, ensuring a safe and inviting space for family and friends, but it can also add personality, drama, and visual appeal to your outdoor living space. The right lighting is both practical and representative of your personal style, and it can add to curb appeal and home value, as well. 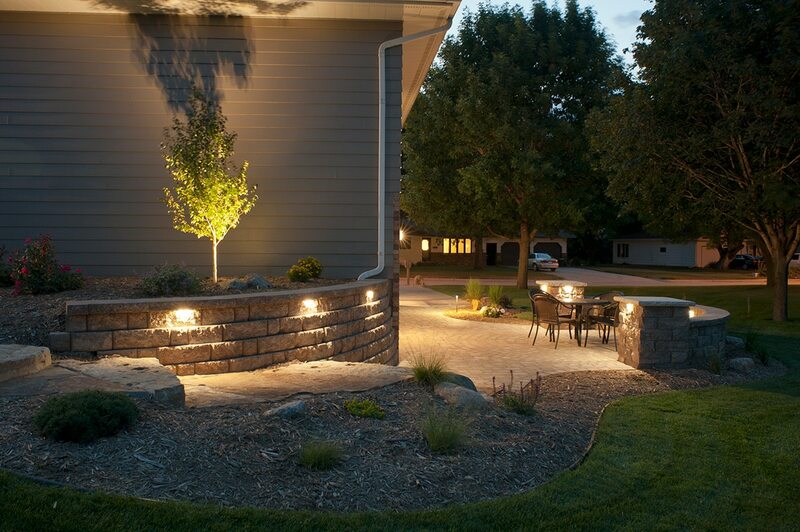 You needn't hold a degree in design to put together a plan for your outdoor lighting. 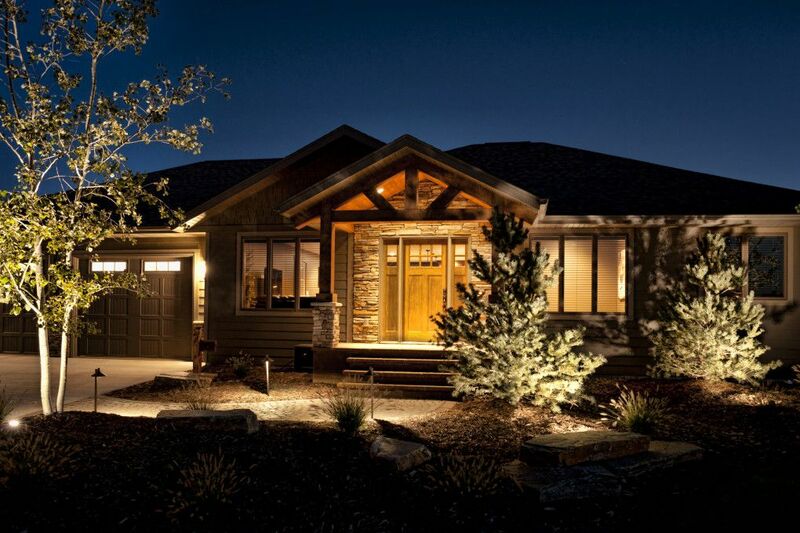 Our experts are available to provide you with inspiration and education, giving you the resources needed to choose the lighting fixtures and placement that will transform your yard once the sun goes down. Our unique designs are implemented by a conscientious crew of trained technicians that pride themselves on minimal disruption to your life and your landscape throughout the installation process. From there it's just a matter of learning to set your lighting to your exact specifications, or even mix it up for special events. With the right lighting from Outdoor Elements Inc., you can host outdoor soirees one night and cozy family get-togethers the next. Residents in and around Rock Valley and Sioux Center, IA as well as Sioux Falls, SD can begin the journey toward a well-lit outdoor living space by simply contacting Outdoor Elements Inc. at alex@outdoorelementsinc.com to set up a consultation. With a talented staff of designers and technicians, as well as a broad range of outdoor lighting elements to choose from, Outdoor Elements Inc. is your one-stop-shop for any and all exterior upgrades. Let us help you make the most of your yard with a custom lighting plan.